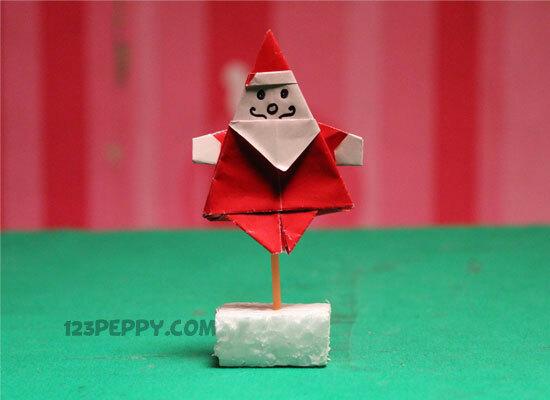 You may have seen Santa Claus craft with different materials but here we show you how to make an Origami Santa. Our easy pictured instructions will help you to learn it quickly, make it one for you and surprise yournfriends on Christmas day. An amazing craft idea for the Christmas season. Merry Christmas!